This is just a quick post while I get a few others sorted. Friday's post should be photos of the whole house as it was a few weeks ago before I started painting all the skirtings, architraves and doors. While renovating the house has been fun (sometimes) I'm really itching to get into decorating the house properly. All the furniture we have is second hand or old (our bedroom setting as been mine for almost 10 years) for the most part, we'll make do for the time being and slowly upgrade but I'm really keen to starting putting a personalised mark on the house...beyond choosing the paint colour. 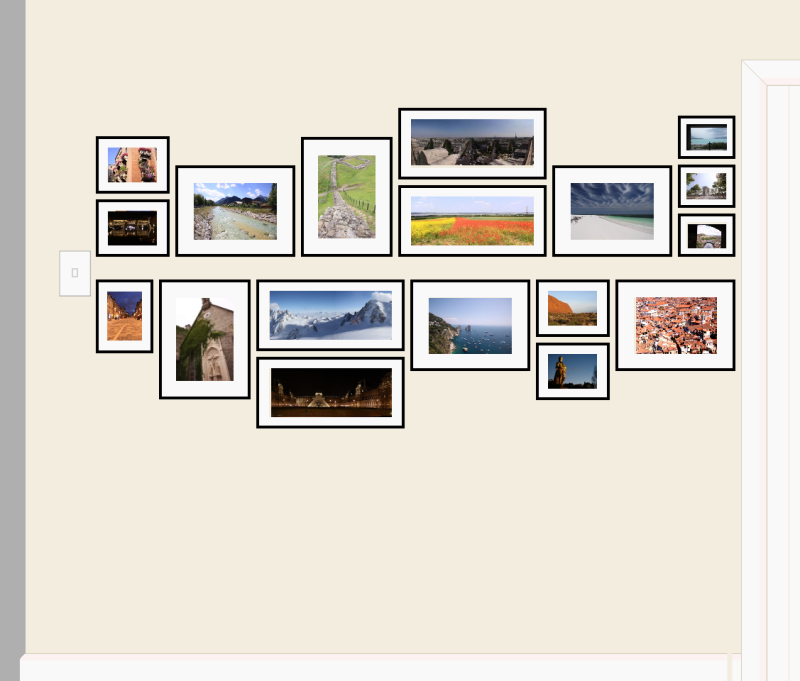 I'm really excited to be able to put up photo frames and want a travel photo wall gallery. SJ and I have so many good photos that need to be freed from the computer. I found my inspiration from an image I found either through flicking through Google Images or on Pinterest, either way the original image is from a Martha Stewart article (here). Arranging photos in two lines with a gap basically, as far as arrangements go, it's the one that really resonates with me. I like the clean lines and the offset symmetry of it all. I also liked that there's no real centre to the display and it can be as long as required, perfect for a hallway. 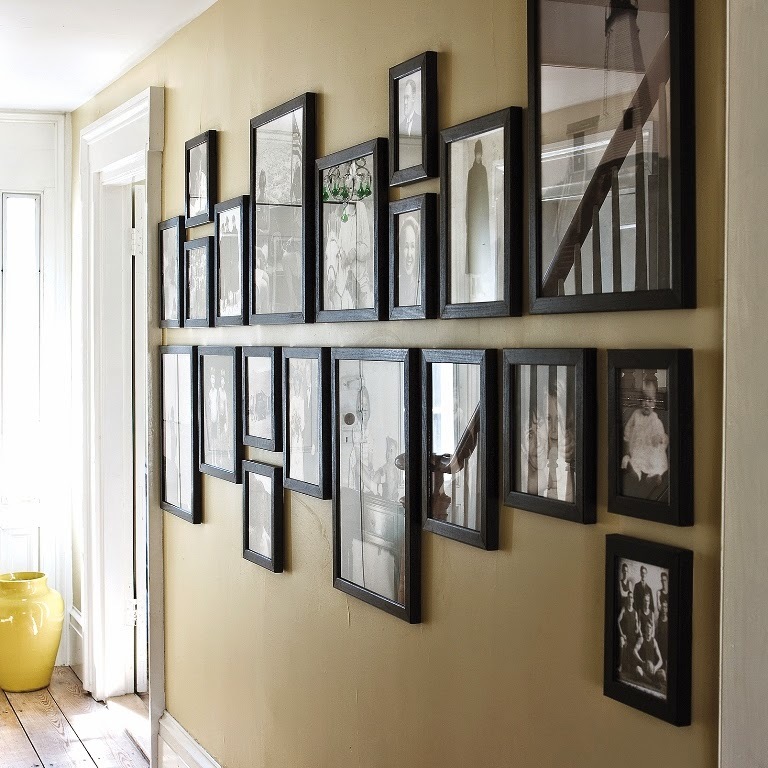 Though I do like some of the eclectic wall galleries that are all on trend right now, I'm not really one for starburst mirrors, vintage mirrors and painted letters. 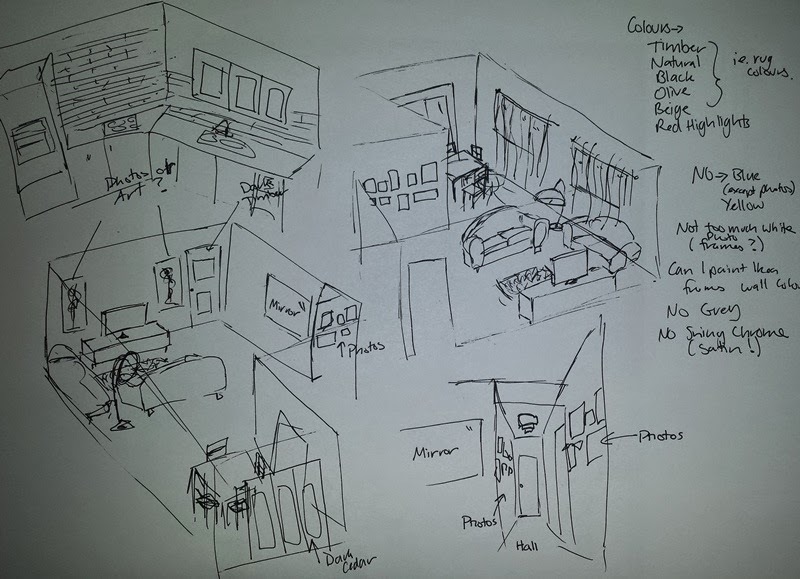 I plan to turn the wall between the kitchen and living room and the wall between the hallway and the second bedroom into galleries. The other living room wall will have a large mirror on it. 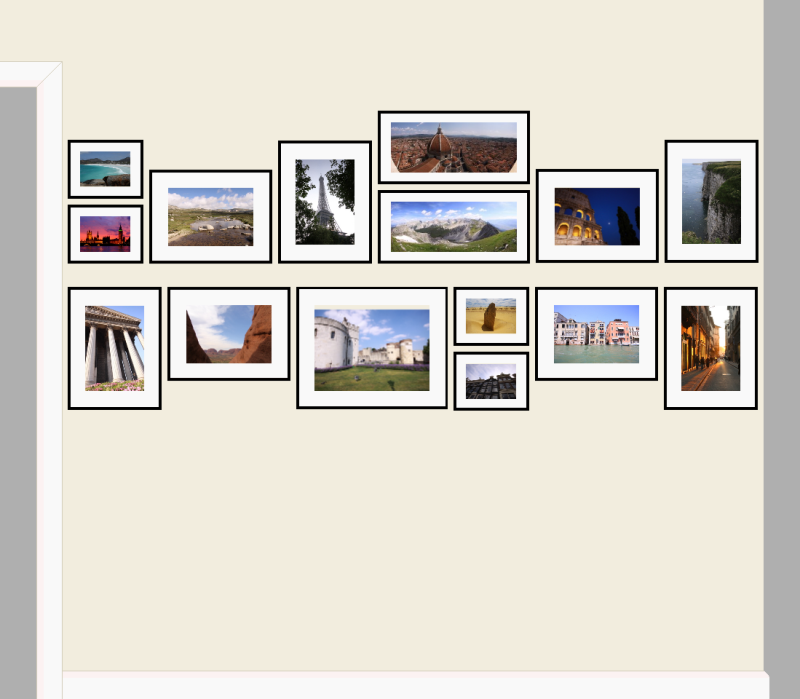 And because I'm a bit OCD, I have already planned out all the photos and sizes I want for the walls. I intend to use black Ikea Ribba frames. All that's left now is to go and buy the frames and print all the photos. I'll be at a stage where I can do that hopefully after this weekend! Does anyone else do this? I make a lot of sketches for SJ, he needs to see my vision to understand it. A few things have changes since I originally sketched up the living room space but the photos and mirror have stayed the same. what program did you use to map out the pictures? I'd love to put up our own gallery too when we get our own place. Doubt I'd be as organised as you, but that program will be so helpful! I use a program called Paint.Net (which you can download for free from here...http://www.getpaint.net/...it's sort of like normal Paint on steroids, has layers and a lot of similar functions to Photoshop but is also great for drawing. I use it for any major photo editing that I have (so it will be my primary editing tool for these pics) and to map them all out, I just scaled the sizes of the frames and played around. Using layers it's then really easy to slide the photos in behind them and switch them around etc.